Spleen 6 is the acupressure point where the three hind leg meridians, Spleen – Kidney – Liver, intersect energetically. This amazing acupressure point is commonly used for a wide variety of issues from edema to insomnia. Sp 6 is such a powerful point that it is contraindicated during pregnancy because it can cause the fetus to be aborted. If, however, there’s a need to induce labor, Sp 6 can be effective. Spleen 6 can be a tender acupoint because it’s in a sensitive location. 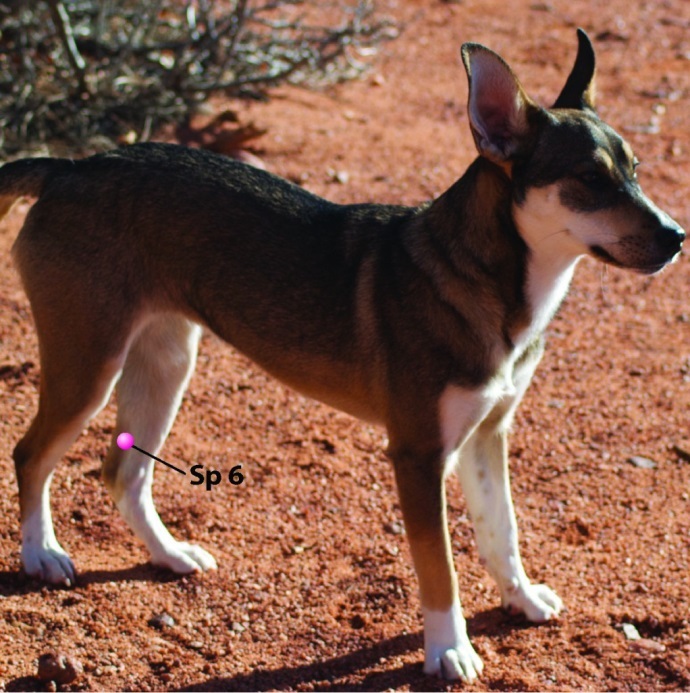 It’s on the medial side of the animal’s hind leg below the stifle and above the medial malleolus (see locations below). 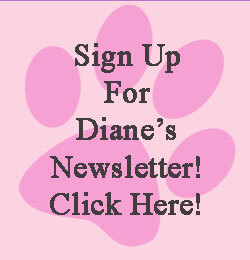 We suggest just resting your finger on the point – light touch is suggested to avoid the horse, dog, or cat discomfort. If the animal indicates it is too tender, release it gently. Spleen 6 is the Master point for the urogenital system and caudal abdomen. As a Master point, Sp 6 can be used in the Point Work segment of an acupressure session where the issue involves that anatomical region of the animal’s body. Spleen 6 is known to strengthen Spleen, Stomach, and Kidney, while harmonizing Liver. It dispels dampness, regulates middle and lower Jiao (heaters, burners), cools and invigorates Blood, enhances Yin, regulates the estrus cycle and fertility, and calms the spirit (shen). Equine – Found 3 cun above the medial malleolus, caudal to the tibial border on the medial aspect of the hind leg. 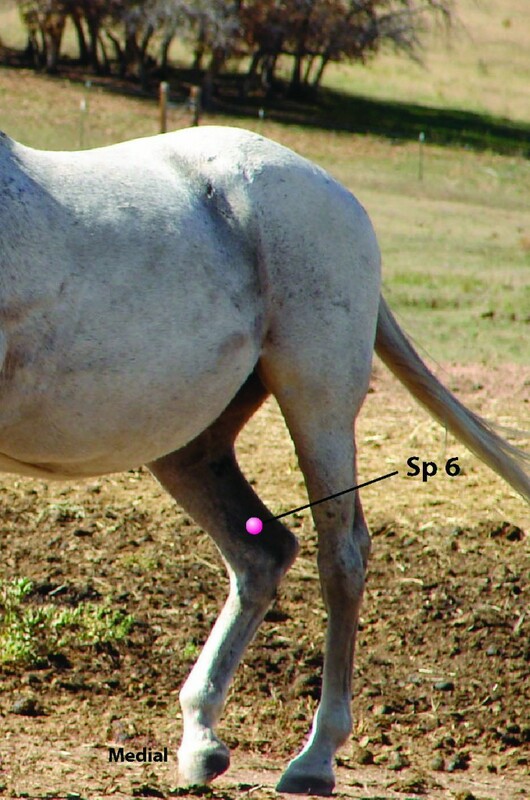 Sp 6 is about 0.5 cun posterior to the saphenous vein of the hind limb.